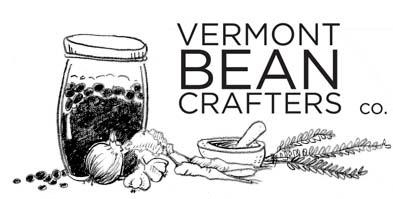 Vermont Bean Crafters is located in Waitsfield, VT.
Vermont Bean Crafters is a team of artisans and friends who have a deep-set care and passion for quality food. They also recognize that beans play an important role, not only in a healthy diet, but also in healthy soil and agricultural diversification. All of their products are gluten-free, plant-based, vegan, GMO-free, and made in a Nut-Free facility.